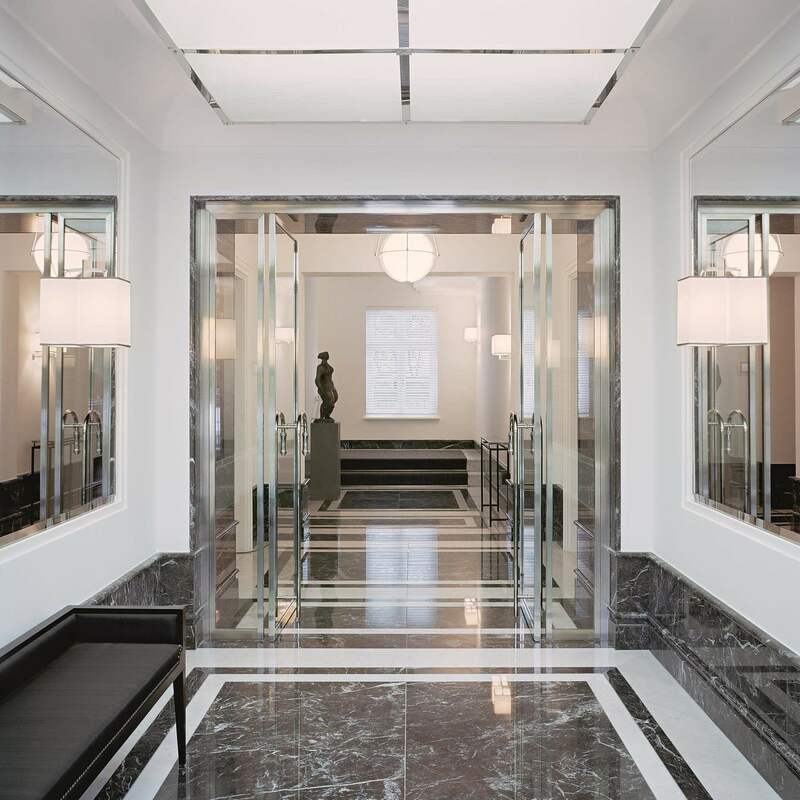 Harmonious proportions and symmetries stylistically bridge the 1920s and modern-day Berlin — a discreet elegance that complements the other buildings on Linienstraße. Following numerous building projects in exclusive locations around the metropolis on the River Spree, RALF SCHMITZ now has finally brought its exquisite architecture to Berlin-Mitte, on the history-laden Linienstraße. Here, in an environment distinguished by the most diverse of architecture, the modern, clear design of LINIE72 melds harmoniously with the urban feeling of the city’s most lively district. With its unusually minimalist design and its effortless style, it nonetheless represents the sophistication of the architecture one expects of RALF SCHMITZ. Organically evolved and almost entirely intact, spruced up over the years, and today as in demand as ever: the Scheunenviertel, a top city-centre neighbourhood, is home to early classical architecture, historicism and modernism, from now famous courtyard complexes — like the Hackesche Höfe — to particularly luxurious and contemporary apartment buildings. Where contemporary art, culture and smart architecture now reign once stood an area of storehouses and barns. Elector Friedrich Wilhelm initiated the construction of the district in the seventeenth century with fire safety in mind, erecting barns outside the city wall for hay and straw for the Alexanderplatz cattle market. A scarcely cultivated street along the city wall was called simply “line,” or Linie, and then after 1821: Linienstraße. Taking his cues from German Bauhaus architecture, Dutch de Stijl and French industrial design of the 1920s, interior designer Oliver Jungel places emphasis on clear lines for the interiors. Clearly, artfully and cleverly thought-out: Linie72 makes an impression. In addition to the spacious arrangement of rooms, the style secret of the luxurious apartments at Linie72 is an unrelenting love of detail, which renders sensational homes that unite urban cool and privacy. Natural stone and wood, brass and marble signal Linie72’s high-quality standards; they acquire patina, age gracefully and naturally. In this project, as in its others, RALF SCHMITZ’s exclusive signature is evident in the successful combination of function and aesthetics.